Don’t miss the last free concerts of the summer in downtown Oakland | Link: UCOP's e-newsletter | Stay Informed. Stay Connected. 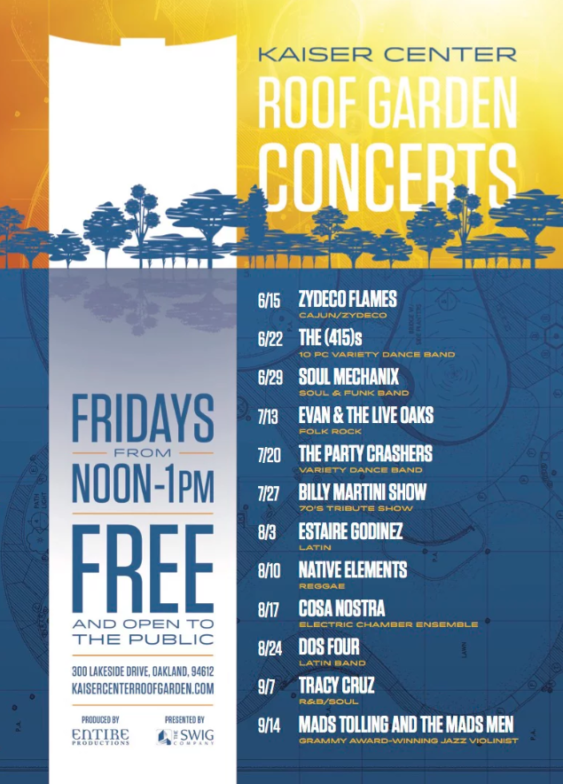 You still have time to enjoy free summer concerts in downtown Oakland, so grab your lunch and soak in some music in the sunshine. These concerts are free and open to the public. All concerts are 12–1 p.m.
For more details including bios for the musicians, check out the complete concert line-up. All concerts are 12–1 p.m. Fridays, continuing through Sept. 14.